The nervous system consists of the brain, spinal cord, and nerves. The brain is divided into sections and stores and receives an incredible amount of information. 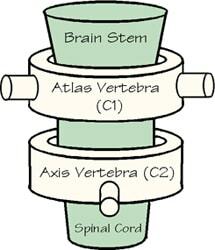 The nervous system helps coordinate all systems in your body. But this information needs a way to get in and out. Nerves provide a pathway for this information to travel, and the spinal cord is made up of bundles of these nerves that extend down from the brain. 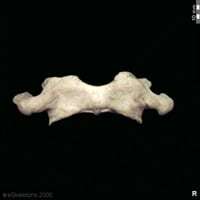 The spine, or the series of bony vertebra, both houses and protects the soft, sensitive nerves of the spinal cord. The atlas is a single, 2 oz. 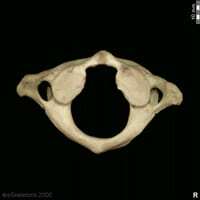 doughnut-shaped vertebra at the top of the spine and in most people surrounds the brain stem. Trillions of nerve fibers from the brainstem travel through the small opening in atlas and flow down into the spinal cord. 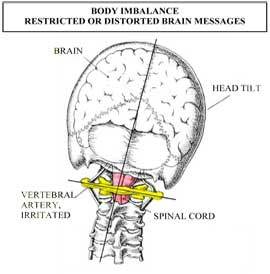 Because of the smallness of the opening and because of the atlas’ close proximity to the brain stem, if the atlas has moved out of position even a fraction of a degree, very serious interference of nerve function can result. This is the problem. This is true for an atlas that has moved out of its proper position. 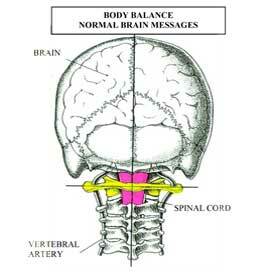 It can constrict or distort proper brain messages to organs and limbs all throughout your body. 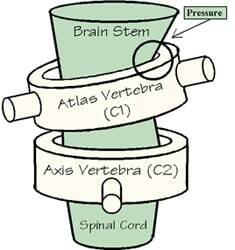 This is because all but 12 sets, out of millions of nerves, pass through your brain stem and spinal cord. 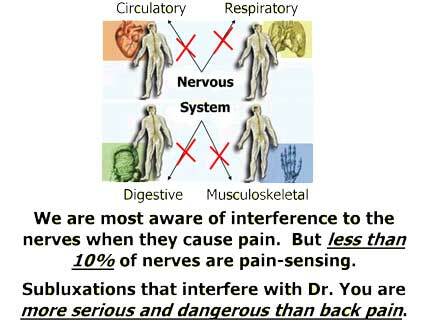 We are most aware of interference to the nerves when they cause pain. But less than 10% of nerves are pain-sensing. Subluxations that interfere with your nerve system are more serious and dangerous than back pain. 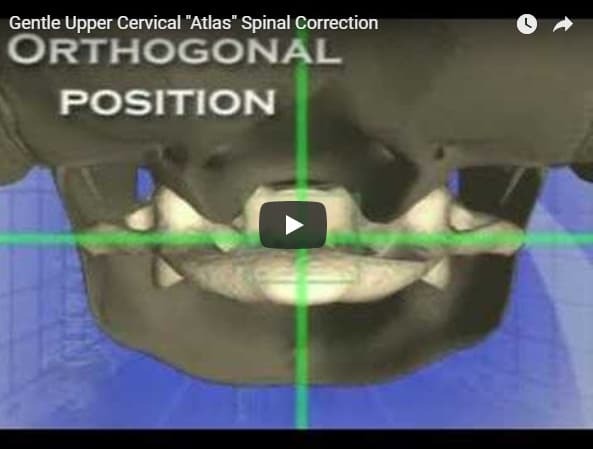 If your atlas remains out of position for years, degeneration of tissue results. Over time, that could be serious, since in many conditions, pain is the last symptom to occur to indicate a problem exists. 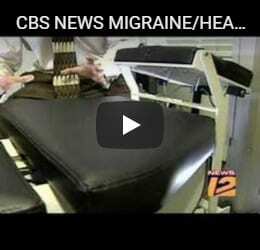 Watch this Short Video to Learn how this procedure works and how YOU can avoid years of pain and suffering! Upper Cervical Doctors are trained to locate the problem, which is the source of the pain or discomfort— it may actually be far from the actual location where the symptom is occurring— and then they correct it and set your body up to begin healing. Of course, the type of supportive care employed by the doctor depends on the condition being treated, but you get the main idea. The important thing to remember is that success occurs by addressing the problem, not just masking the symptoms. 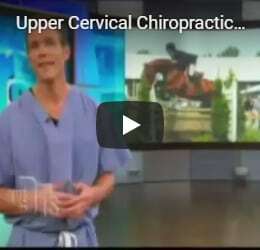 Upper Cervical doctors also provide lifestyle advice to help prevent illness and injury. Diet & nutrition, fitness, ergonomics, and other areas in your life contribute, or diminish, your overall health. By making the right choices, one can live a life full of wellness and vitality. Spinal Correction is the only process that locates and reduces body imbalance and nerve dysfunction due to subluxation.